Something everyone thinks of purchasing when it comes to winter sports is the jacket. Just the idea of a warm and comfortable jacket, makes up for the worry of the icy winds and snow. But those who live in very cold areas can tell you a thing or two about why jackets are not the only thing you’ll need, if you’re going to spend hours enjoying yourself out there. Shoes, right? Well, of course you’ll need suitable shoes that can withstand the dampness and the cold of winter. But not just that! Okay, a good and warm pullover. Yeah, that as well, but we’re just going to go ahead and tell you what we are talking about, because otherwise this will take hours. Trousers! We’re talking about sports trousers that are suitable for any season, but specifically designed for winter. In this article we present some Nebulus trousers that come in many designs and colors, for both women and men, and we’re going to write about sports trousers suitable for skiing, running and jogging. Therefore, anyone who enjoys sports in challenging weather conditions will find something to suit their needs. We are starting off with trousers for skiing, with designs for women and men. 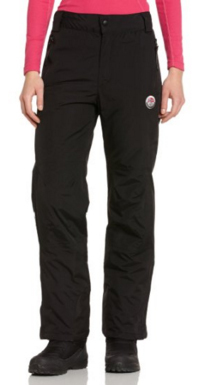 The Helens skiing trousers for women are designed to be durable, insulated and waterproof. They have many features that make them ideal for snow and freezing temperatures. Insulated and with temperature regulation design, these pants will keep you warm without letting your body overheat, due, also, to its breathable material that allows for perspiration. There are taped seams which, combined with the waterproof material, guarantee that you will stay dry and secure at all times. These pants come in only one color: black, and with two side pockets and a zipper and button closure on the front. There are also belt seams around the waist. If you liked what you read about the Helens ski trousers and are wondering if there are designs made for men, the answer is: Yes! The Helens skiing trousers for men come in the same material and with the same features as the ones for women. They are designed to fit you perfectly, making it easier to move in them and allowing you to feel as comfortable as possible. 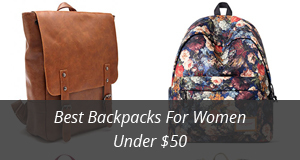 Due to their classy design, you’ll look well dressed and feel great. 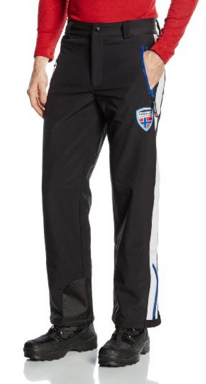 These come in two different combinations of black with blue on the sides and black with white on the sides. 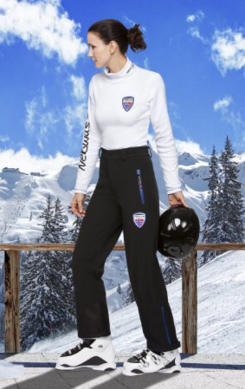 The Downhill skiing trousers for women come in a casual design, which makes these trousers suitable to wear anywhere you prefer, not only when you are skiing. They come only in the color black and are loose fitting. The material, once again, is waterproof and insulating, with high breathability and thermo – regulated, which means that these pants will keep you warm at a very comfortable temperature, without feeling the discomfort of being too hot or too cold. The seams are taped as well so no snow can get to the inner side of the pants during skiing. Black just does not appeal to you. 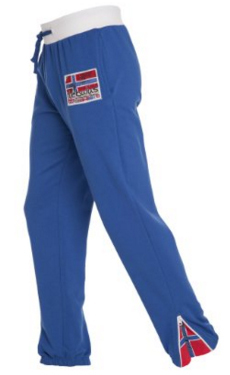 Well, these blue soft shell skiing pants will definitely get your attention. They look great on and are very comfortable. 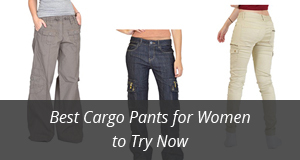 The material is 100% Polyester, which means durable and waterproof trousers. These are a bit thicker than the typical skiing trousers, but still are very light and will adapt to your figure and movement perfectly. There are two side pockets and two back pockets, which make these pants also suitable to wear on a daily-basis, since they look very casual. There are seams for a belt, and it closes with a zipper and a button on the front. On to the jogging trousers, here are the Lifestyle Spider trousers for men and women. They are made of 100% cotton, with a combination of cotton and spandex on the waistband, which allows for a better fit, along with the tightening rope. There are two side pockets and along both sides there is the Nebulus logo embroidered. 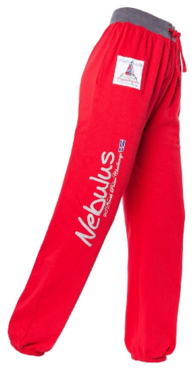 At the ankle there is a very interesting design which opens up the Nebulus logo with a zipper. There are three colors to choose from: blue, black and navy for men and black for women. These pants are very light and comfortable, just as jogging pants should be. The Lavenger jogging trousers are designed to look like sweat pants, with elastic around the waist and tightening rope. There are two side pockets and around the ankles there are elastic bands which make the pants suitable to run in windy days. They are made to fit the movement of your body, without causing discomfort or hindrance. The material is 100% cotton and they come in the color red for women and blue for men. Jogging is not for everyone as some people like to challenge their bodies, so they might prefer running. And those who take running seriously, also require a good pair of trousers, which will fit perfectly and not cause any trouble or discomfort. These running trousers are designed to fit your body, all the while ensuring warmth and keeping rain and snow off you. They are made with 90% Polyester and 10% Elastic material, which gives it the tight fit around the body. There are no pockets in these, because they are pants for serious runners, no messing around is allowed. They come only in the color black, with thin lines of blue and the Nebulus logo on the left thigh. For the ladies, the Tirol trousers are a very interesting pair. They are designed to be used for any sport, due to the material which contains thermo – regulating qualities and is very breathable, therefore not allowing your body to overheat, as well as transporting sweat to the outside. 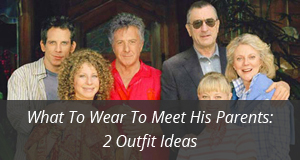 They are form – fitting, and elastic, which makes them very comfortable to wear, as well as very light. You can wear these alone for running, jogging or at the gym, or you could also wear them under the pants for colder days or skiing. They come only in the color black. 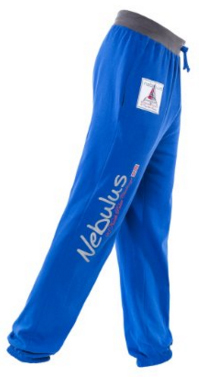 These are the Nebulus sport trousers that made our list, but this brand has plenty more to choose from, each with their own specific features to suit any sport and any preference.